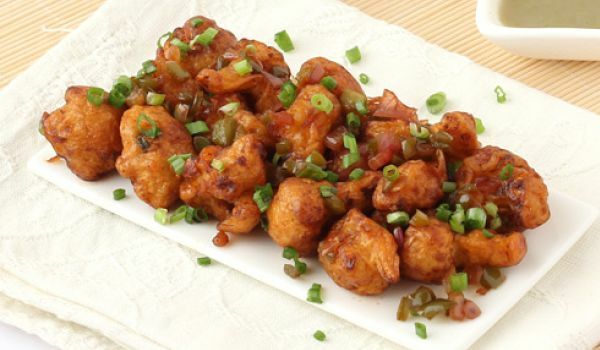 Gobi Manchurian Dry is a very popular recipe. Learn how to make/prepare Gobi Manchurian Dry by following this easy recipe. First mix all purpose flour, garlic paste, ginger, salt, beaten egg, chili powder and make a fine paste. Add cauliflower to the prepared paste and leave it for about 50 minutes. Heat some oil in a deep fry pan and fry the mixed cauliflower inside it till it gets dark red in color. Add fried cauliflower to it and roast it thoroughly, till it gets dry. Take Gobi Manchurian dry out and sprinkle coriander leaves on it.